When we eat out and order ribs it is usually just a question of beef or pork. But, did you know that in Australia you can get Chicken Ribs? Of course, you have to go to the right place to get those Chicken Ribs. 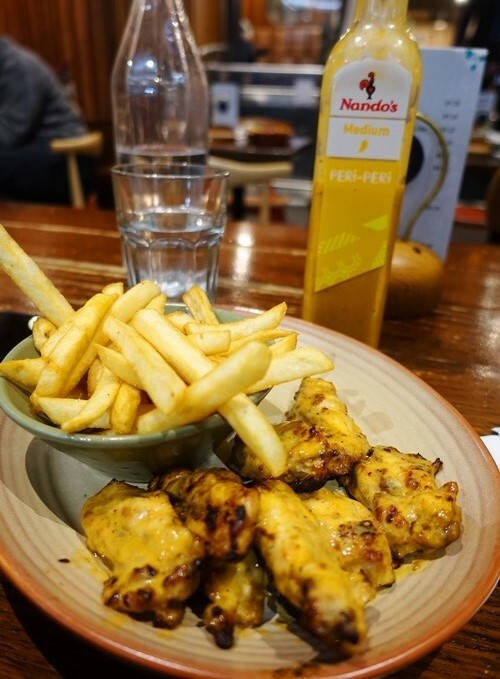 Here in Australia you can get chicken ribs at Nando’s. Here is a closeup of one of the little ribs. You can see that there is quite a bit of meat on these ribs. I did some research once and it is an interesting process to make these ribs. Here is the bone pile for the chicken ribs. You can see that they are definitely ribs, but have you ever seen ribs prepared like this from a chicken? 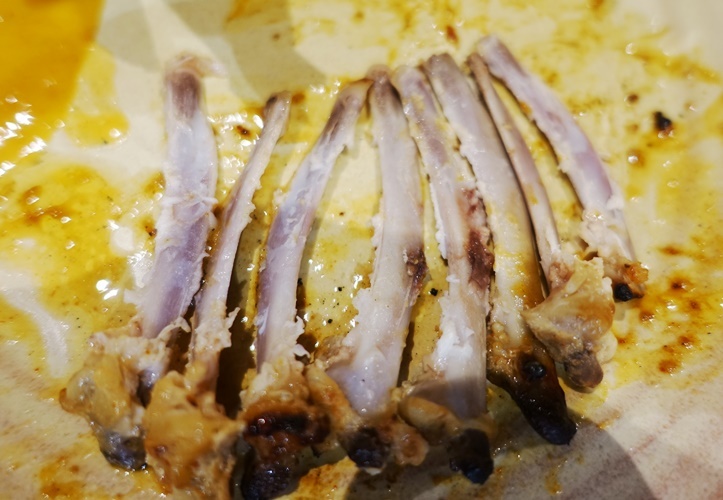 The napkins are made of 100& recycled material, which was a good thing as I had to use several napkins to clean up after eating the chicken ribs. 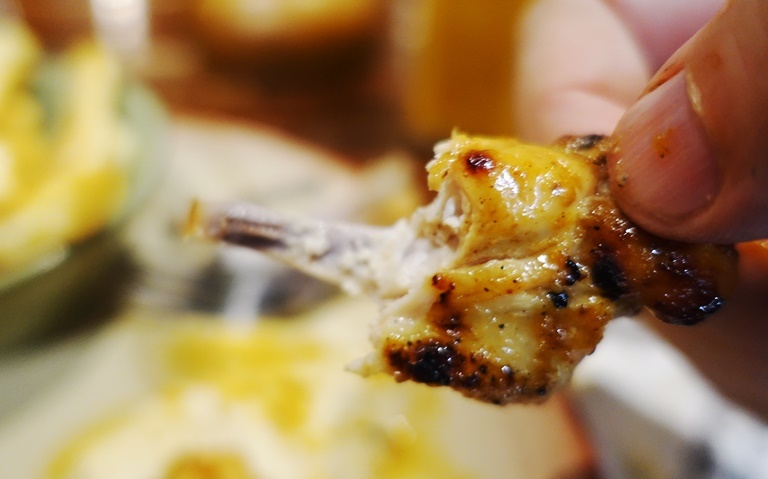 Have you ever had chicken ribs? 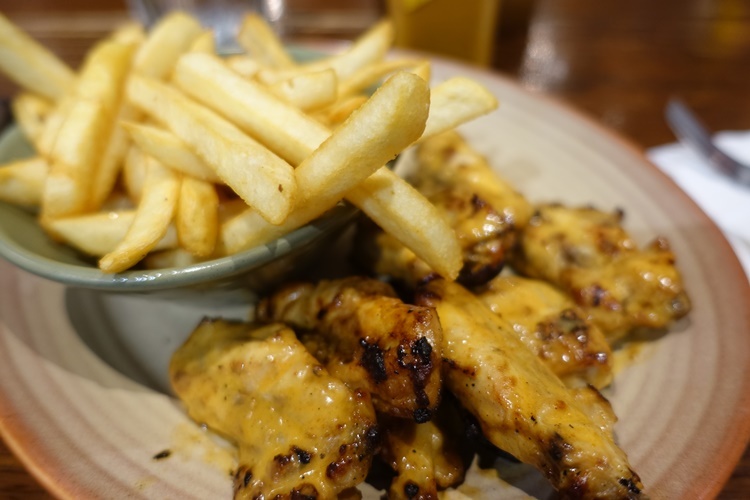 This entry was posted in Australia, Food, Travel and tagged Chicken, Chicken Ribs, nando's, Nando's Fix, Napkins, restaurants, ribs. Bookmark the permalink.